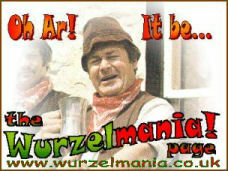 The search for information about how well The Wurzels have sold overseas has come back with some information about their Canadian chart success. This was undertaken to prove (or otherwise) the urban - well, rural - myth that The Wurzels really had TWO chart-topping hits, and that The Blackbird had reached #1 in Canada. Sadly evidence seems to show that this is, in truth, only a myth. Online archives of the Canadian RPM Weekly Single Charts (see below) reveal that although the band did achieve some success in Canada, it was relatively minor. They did not reach the Official Single Charts, but had some success in the Adult Contemporary and the Country Singles charts in 1977 with Combine Harvester (cat: ATTIC 139-K) and I Am A Cider Drinker (cat: ATTIK 151-K). Interesting to note that I Am A Cider Drinker did better, reaching #11 in the Adult Contemporary Charts to Combine Harvester's #19. Still, considering the distance from North Somerset, any chart success is a major achievement! 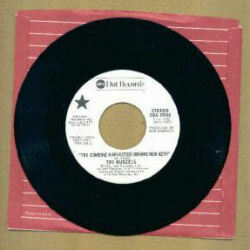 Front side of the USA release of the Combine Harvester single on the ABC Dot label.